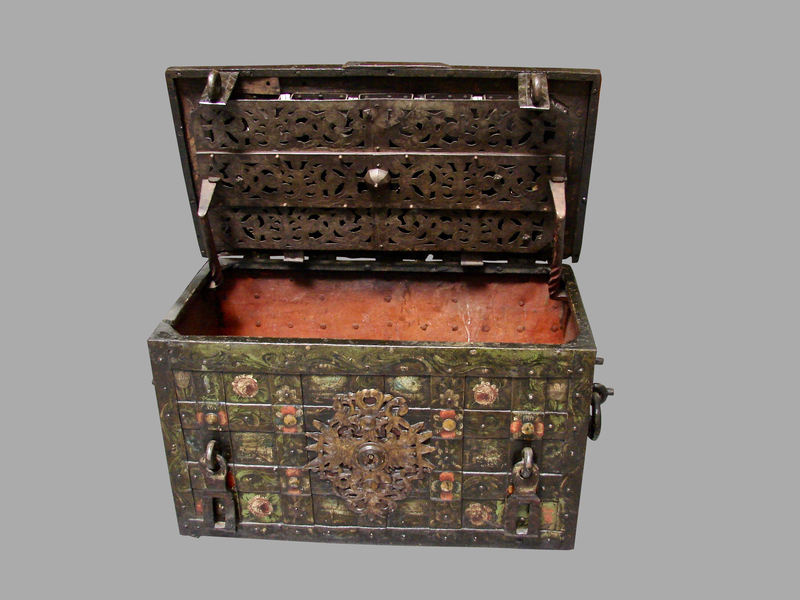 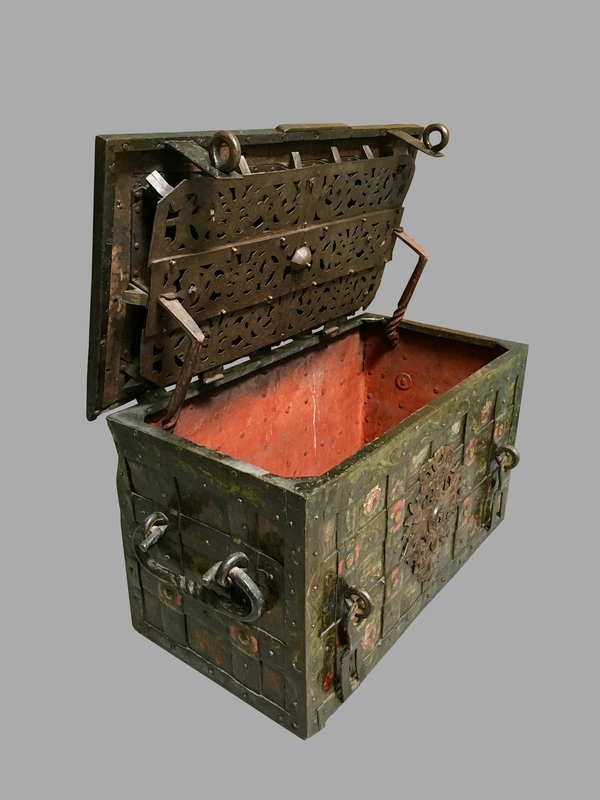 An impressive late 17th century Nuremberg wrought iron painted armada chest opening to reveal an elaborate working lock mechanism covered by an engraved pierced steel screen, the sides with twisted rope form iron carrying handles. 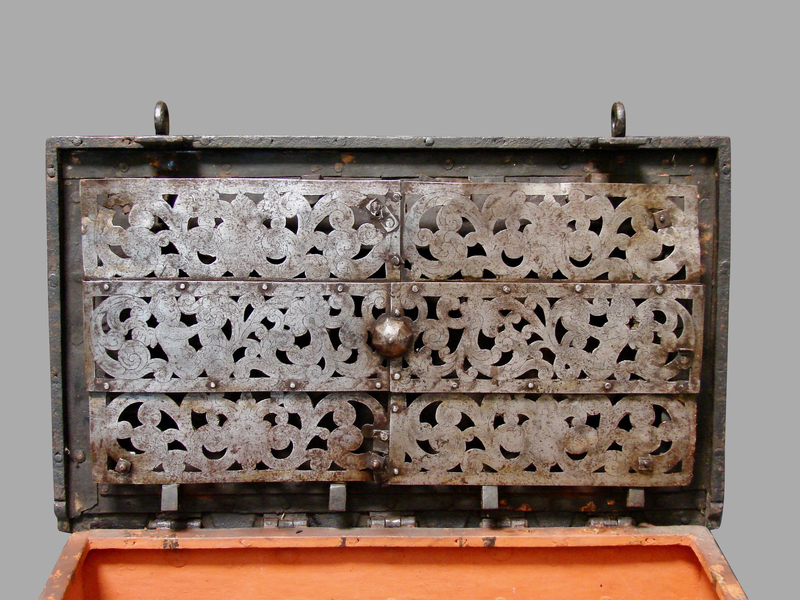 Circa 1650, shown with 2 later period padlocks. 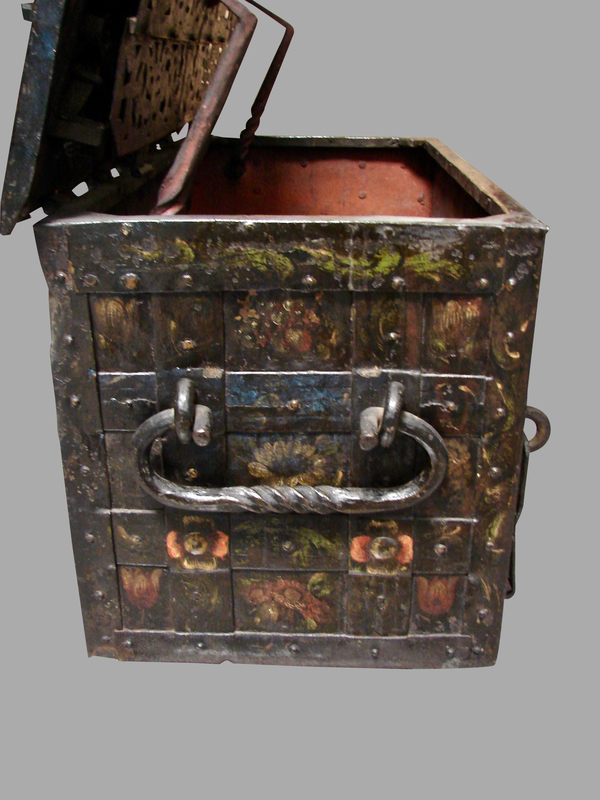 All locks in working order, with keys.